Host your own live chat sessions, interact with your visitors, engage your readers in real time with Yacht Blogs Live Chat! This plugin is available for free to Admiral members! Sign up or upgrade your membership today! With Yacht Blogs Live Chat, you can easily run as many live chats as you want, on any page or post on your Yacht Blogs blog! And you can even run a bottom corner chat to talk to visitors all across your blog – great for adding to the sense of community on your blog. 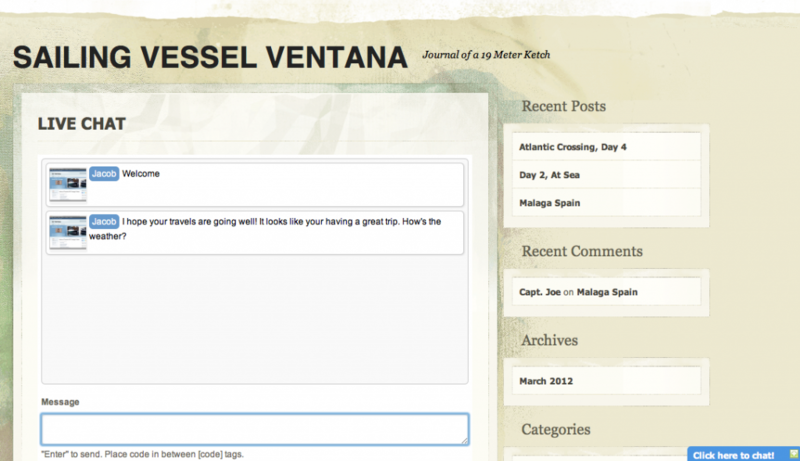 Including gravatars, emoticons, logs and a raft of customization options – Yacht Blogs Live Chat covers all your needs. Readers can login with their YachtBlogs account usernames, as public users, and also via Twitter and Facebook! 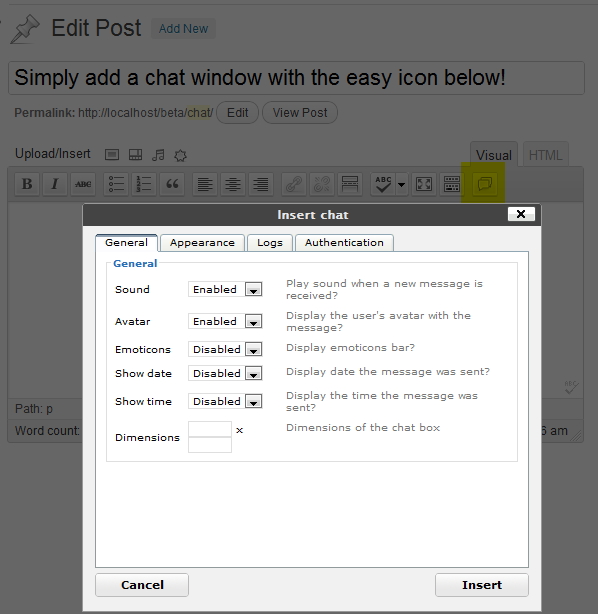 Choose to create and display chat logs – great to preserve your chats for all time! Ready to begin? Start blogging with us today!